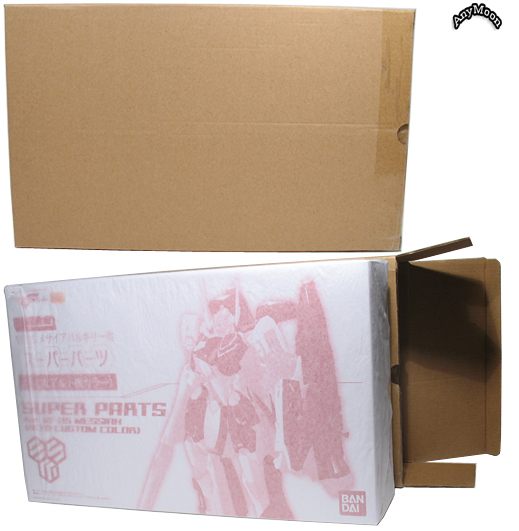 These parts were available via special order through the Tamashi website. They come shipped in a brown shipper box which houses the true white box of the parts themselves. Ozma’s parts come in a white and black box, Alto’s box is red and white as pictured here. There’s no flip top lid and the box feels pretty flimsy so this really does feel like a mail-away parts package (which isn’t a good thing). What is a good thing is the inclusion of a display stand with the parts. Inside the box you get the display stand, stand accessories allowing for display in any mode, the super parts, and matte paper instructions (the instructions seem pretty cheap but they ought to answer all your questions, see scans below). 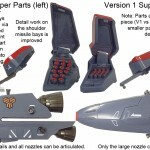 Nearly exactly three years to the day Bandai released a new version of super parts to go with their improved “renewal” version of the DX VF-25 toys. 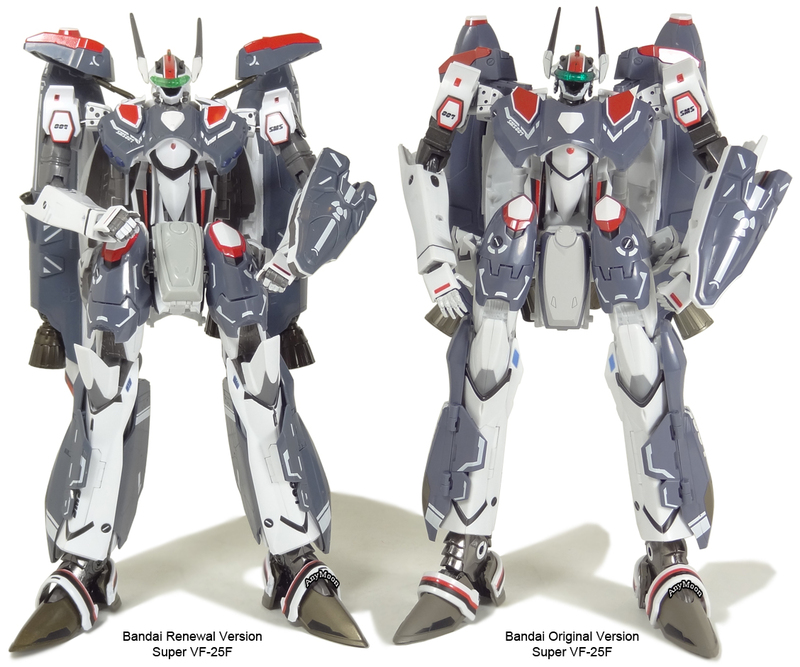 The renewal super parts do not come with a display stand since a display stand is included with the purchase of each renewal VF-25. This is an improvement as the inclusion of display stands with each accessory purchase in the original line meant that one person could potentially own several display stands for one toy if they had several accessories for that toy. 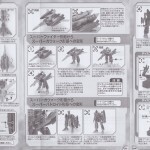 Originally these super parts were seen as a good way to dress up the fighter mode of the original DX VF-25 toys. Released via the Tamashii website in April 2009 for an MSRP of 4,000 Yen the parts were affordable for those living within Japan but the price quickly escalated for those who needed to arrange a purchase through a third party. Now that the renewal DX VF-25 toys have been released demand for the original toys has understandably waned considerably. 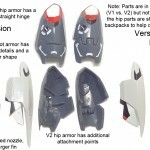 Something to note, the original Ozma parts came with the hip armor paint being reversed from what was intended. Bandai issued replacement parts for their Japanese customers but they might have inadvertently created a collector’s item in the process. When the original Bandai DX VF-25 toys came out I went way too easy on them. It was hard for me to be critical since there was no other toy at all similar to judge them against. Bandai has since shown me the error of my ways. I originally commented that the level of tampo detailing was nice, as was the sculpt and proportions, but the more intricate details like the missile bays could stand improvement. 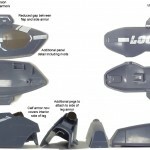 I also noted that the lack of any mechanical detail or removable armor bits was a bit of a let down. Today consumers have the chance of purchasing the renewal version super parts which are essentially vastly upgraded versions of the original but without any new surprises added. Below is a series of pictures comparing the original versions to the renewal versions. As you can see, every single part (with the possible exception of the crotch armor) is a marked improvement. If you’re a huge fan of fighter mode then you won’t notice many of this accessory’s design flaws. GERWALK and battroid definitely have some issues they have to contend with. GERWALK mode suffers because the wing pods are just a bit too heavy which causes the back to collapse downward if anything is jostled. There’s a good bet that things are going to be jostled because the hip armor attaches via two of the tiniest clips ever (highlighted in blue in the picture below). These tiny clips rarely form any sort of good grip and inevitably fall off or get tweaked out of alignment with only the most minor of handling. Between those heavy wing pods causing the back to collapse and the hip armors flaking off with every shake GERWALK can quickly become infuriating (using the included display stand helps a ton as it supports the back and eliminates the issues with the heavy wing pods). 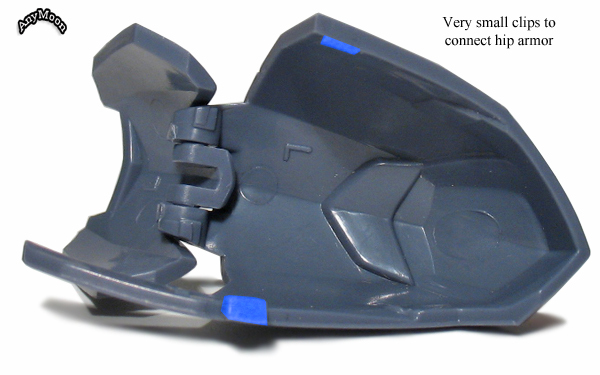 Speaking of the wing pods, I have now seen many, many pics where the wing pods aren’t quite connected to the toy properly. Heck, I probably don’t have them right in some of my own pictures. You’ll know your wing pod is correctly attached to the spike on the wing if you can’t move the tip left or right gently using your finger. If the pod is stiff and handles fairly moderate pressure then everything is as it should be. You’ll also know you have things right if the boosters on the wing pods are not projecting imaginary thrust on the vertical stabilizers. If your pods aren’t like this focus on pushing them in against the spike as you put them on. The second picture below shows the real hindrance of battroid mode. 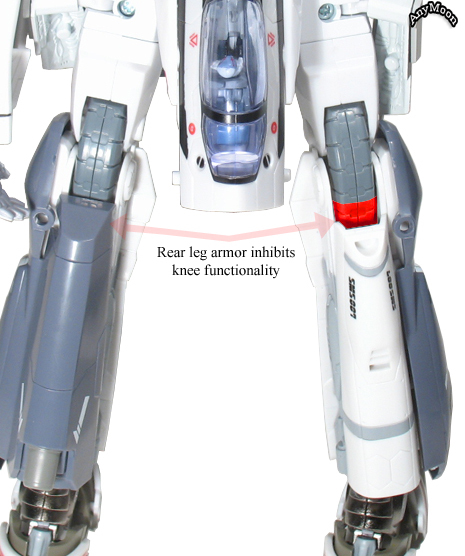 The calf armor of the toy protrudes too high rendering the knee all but useless. There are no removeable parts here that expose mechanical detail but there are two missile bays with doors that open to reveal the mini missiles. Positive notes were that the toy can go from mode to mode (theoretically) without removing and putting parts back on and also that the landing gears continue to function. These parts all seem very sturdy for what they are with the possible exception of the cod piece. When I did the photo shoot for this post I was hesitant to leave the cod piece on through-out transformation. In my subsequent testing I left it on a couple times and didn’t damage it at all so while it seems scary I don’t believe there to be much risk involved (although if you have the box handy, you probably should remove it for GERWALK and fighter modes as it’s not serving any purpose tucked inside any way). Far more at risk is all the tampo printing both on these accessories and the toy you’re applying them too. Expect to eventually scratch something and feel kind of upset at yourself and Bandai for having done so. There have been numerous reports of tightness of fit issues, usually minor, but it’s something to be aware of. I’ve already chronicled my issues with the GERWALK and battroid modes. There is one other issue with GERWALK that I hadn’t noted yet. 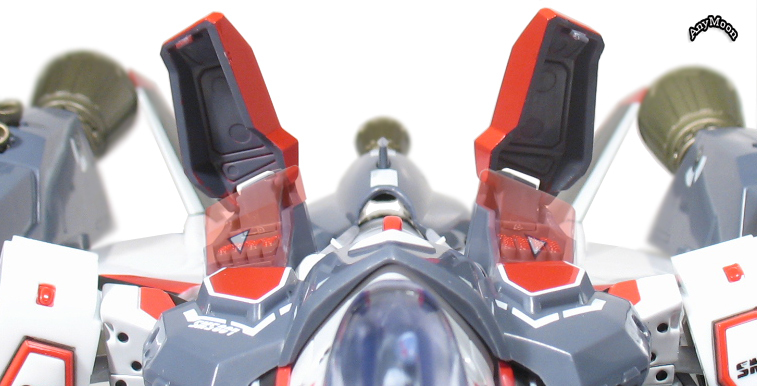 The wing pods extend so far forward they inevitably press against the shoulders of the toy which will hamper your ability to maneuver the arms (and may lead to you knocking parts off as you try to achieve that perfect pose). The display stand is nice to have but it doesn’t exactly give you a world of options beyond being able to hold the toy up in each mode. Don’t expect thrusters you can angle or anything like that as pretty much everything is stuck in its place. 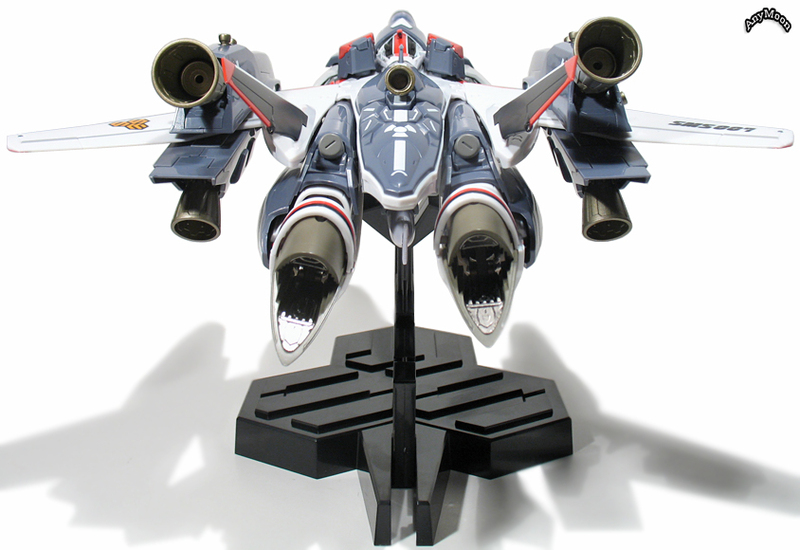 You can have the gun attached to the toy in fighter mode while on the display stand which is always a nice touch. If you don’t own these parts already, don’t buy them. Now that the renewal versions are out and such a marked improvement there’s no reason to be completing a collection of the original releases unless you’re a true diehard completist. Originally I liked the look of these parts on my fighter mode toys and was happy to own them even with their big flaws. Pro-tip, if you do own these, a little two-sided tape on the hip armors will go a long way to improving your experience. NOTE: This review has been edited. Line art comparisons were added, pictures comparing the original and renewal version were added, new high resolution pictures were added, video comparing the original and renewal super parts was added, and content was updated to reflect the release of the renewal version parts. Great review as usual, Doc! The parts are just becoming available here in my country of Singapore and i am still resisting the lure of getting them due to the price (~SGD130 | ~USD85). I still have so many more Macross and Macross Frontier toys which i want to get on top of other bishoujo (pretty young lady) figures. What i really like is the bundled stand which does add value to the standalone GBP parts. 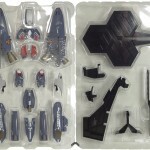 The stand alone should cost about ~USD 20+, if the Yamato 1/48 display stands are anything to go by (~SGD60 | ~USD40). 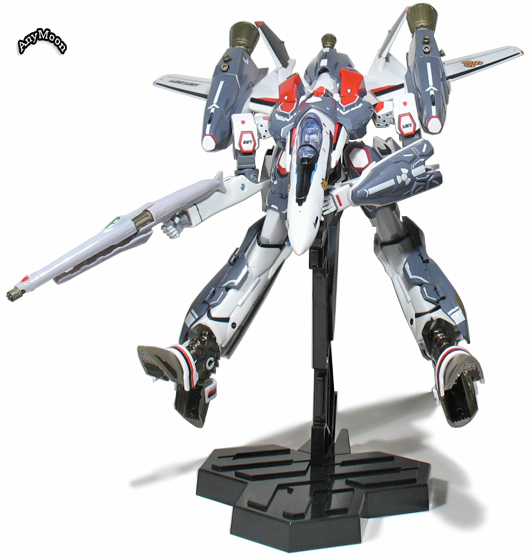 I want the display stand for my VF-25S Ozma (which imho, is best displayed in Fighter mode for the buffalo / bison skull motif) !!! I was too impatient thinking that it would be very difficult to get this piece in Singapore, so I got it from Ebay @ US$165, including shipping. It was a bad decision and felt the money could be spent more wisely. 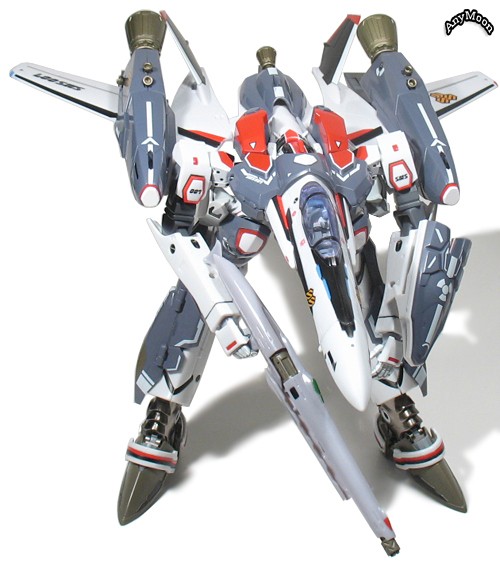 any idea when is Yamato release their version of VF25? or Yamato not goin to release at all? 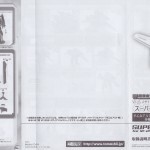 so far any joinaries issue on the DX chogokin 1/60? are they going to release a version that come with a articulated fingers joint without changing it in all 3 mode? 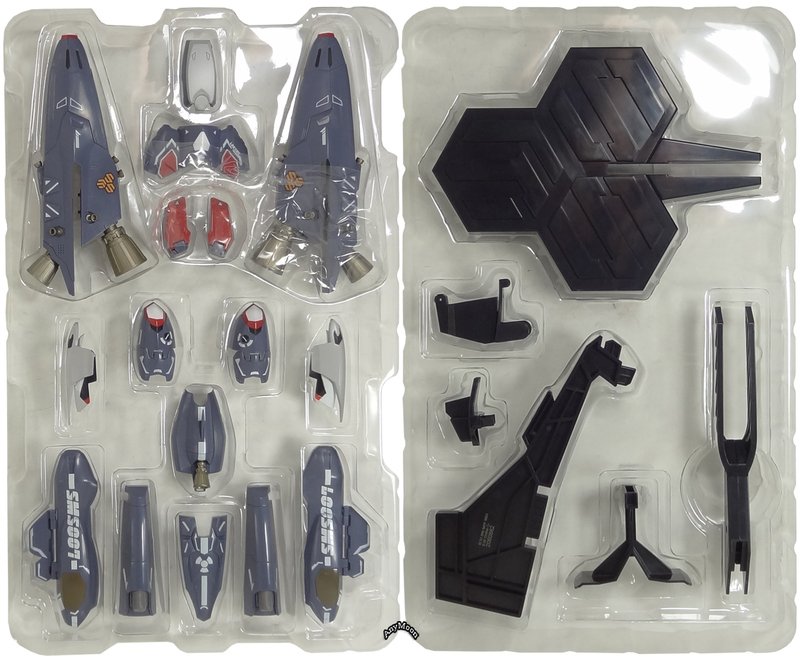 Yamato does not have a license to make Macross Frontier merchandise. 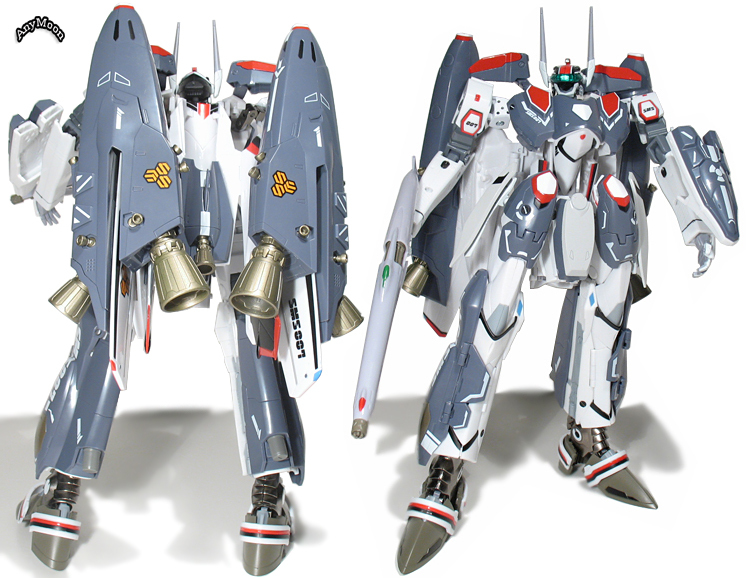 If they were ever going to make a VF-25 it would have to be many years from now. How many years from now? It would have to be far enough in the future where Bandai no longer felt the license was profitable and thus let it expire. 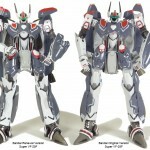 I have not heard word of Bandai releasing a version of this toy with articulated fingers. Often articulated fingers are skipped because the toy develops problems holding accessories like a gun. Personally, I too would prefer if Bandai included hand articulation but I’m sure someone clever will find a way to put articulated hands on these toys. That is new! 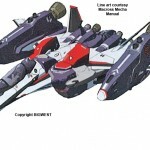 Yamato dont have the license for “Macross Frontier”! ??? 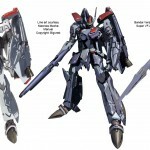 any idea when bandai releasing the VF25-armoured ? Hey Micronian, big fan of your website. 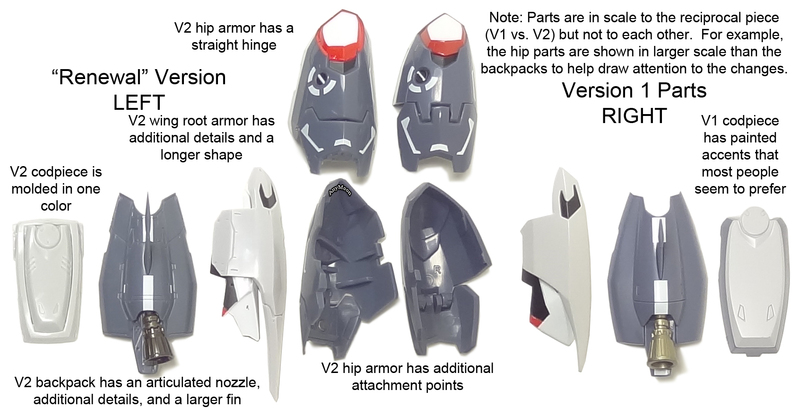 Anyway, looking at the Super Parts, do you think it would be possible to apply super glue to certain areas of the hip parts / clips to fatten them, thereby creating a more snug fit? While I’m not going to go testing it, I do think that if you used some adhesive to extend the lengths of the clips they would fit better. That said, I don’t think it’d be such a huge improvement where you would no longer find them frustrating. Hi Micronian, as a follow-up to my last comment, I did (very) carefully put super glue on top of the tabs of the intake covers, and they do hold pretty well now. They’re still a tiny bit wobbly, but I’ve shaken the plane vigorously with the covers on, and they’ve not fallen off.